Backstory: Once mentored by Rick Ross, this Philly native proclaimed his own boss status with the standout track "I'm A Boss." He rides motorcycles on the street while his famous wifey Nicki Minaj rides him. He chases dreams, but always runs into legal problems or into Drake's bars. 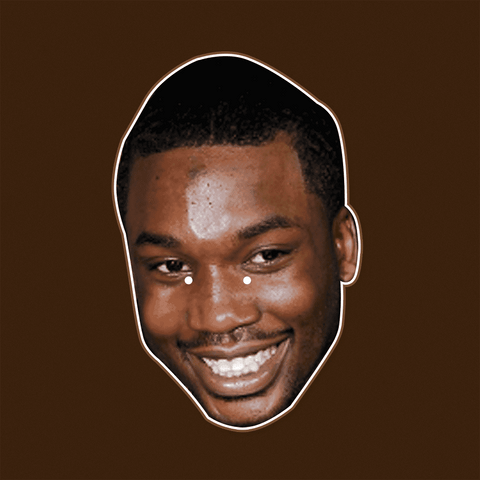 Even through all the Ls that Meek Mill's taken, he's still able to smile through it all. 🤩DON’T JUST WEAR THE CELEBRITY, BECOME THE CELEBRITY - Even through all the Ls that Meek Mill's taken, he's still able to smile through it all. Perfect for parties, festivals, Drake concerts, and Halloween.